Quick, half page, no prep geometry assessments on 2D and 3D shapes and fractions. 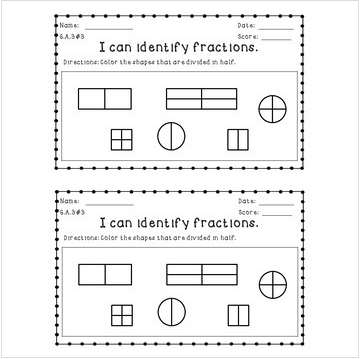 Perfect for exit slips, as pre/post tests before and after a unit, or to use as evidence in a portfolio for standards based report cards. 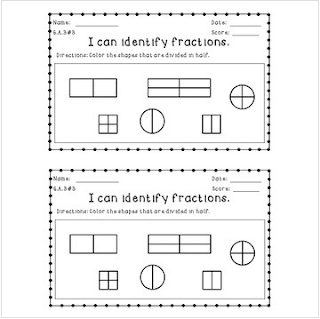 Each assessment is aligned to one specific common core standard making it easy to assess each individual standard. Want more? Check out my entire Geometry Assessment Pack!